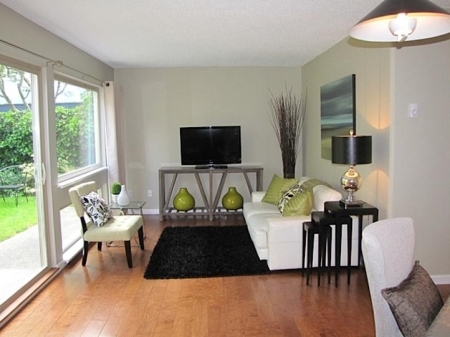 JB Home Staging was formed in March 2013 by Jean Burns a former corporate Telus employee. Since the inception Jean has staged and redesigned over 20 homes throughout the Lower Mainland. 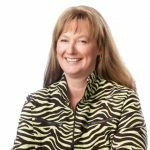 Not only does she offer Home Staging and Home Redesign (home makeovers using clients’ existing furnishings) she also offers Interior Decorating services for clients. Many clients are so comfortable with the initial transformation that once they have sold and moved into their new home they hire her again! Jean was delighted when one of her very first clients trusted her with a small renovation project which went extremely well. Jean has always had a passion for design, interior decor and the real estate market. Growing up, there was always some kind of project on the go which involved renovations – either knocking down walls or rearranging the room shape and size. Projects often included redecorating by adding coordinated fabrics to enhance the room and changing the paint color. When redesigning for living or selling, Jean’s clients love the way she gets her creative juices flowing as she moves furniture around to create a new look in a room in a way they never would have thought of! Delivering a redesigned service to sell their home for the best possible price or providing them a relaxing setting for each new living area helps eliminate the stress for her clients. They get to enjoy the transformation and end result (and so does she!). The majority of the JB Home Staging clients are often too busy to do the work or find the thought of the whole process of moving, selling, staging or redesigning overwhelming and stressful. It is Jean’s personal mission to turn every house into a home with its own unique style. This vacant townhouse had been on the market for 3 months with no offers. It was centrally located, spotlessly clean and had been totally renovated. The living room space was small and definitely needed a stager that could take this space and showcase the benefits of the room. By bringing the outdoor colors into the room prospective buyers connected emotionally with the home and surroundings. The first step was to measure each of the rooms to ensure maximizing the full potential of the furnishings of this odd shaped room. JB Home Staging strategically placed the furniture to enhance all the focal points within the room. During the initial consultation the realtor was unsure as to where the television should be placed. JB made this a main feature to the room, placing the furniture side by side to create a sense of comfort, interest and calmness. The pop of color chosen was olive green which complemented the original wall color and added to the relaxed, inviting feel of the room. The soft earth tones were carried through into this gorgeous master bedroom with another small pop of olive green! The total cost of this project for initial consultation, design concept, sourcing, installation and de-staging to the client was less than $3,000! This totally renovated condo in an older building in Vancouver had strong competition as it was competing with newer buildings in the surrounding areas. Even though this was much larger inside, JB Home Staging’s task was to create and show the benefits of what an older condo could look like after renovating. JB Home Staging sourced and rented top of the line furnishings from a well-known rental company in the Fraser Valley. Jean had customized art created by a local artist for some of the walls to give a cohesive look and feel to the place. The goal was for this property to appeal to the demographic they were looking to attract. The color story is carried through beautifully into this master bedroom.